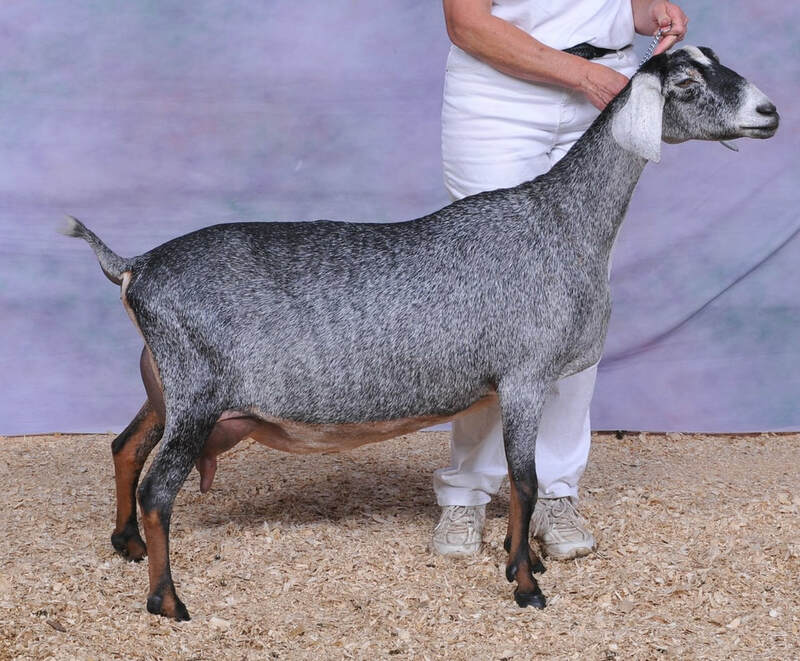 We've always admired the Pruittville nubians so when we had a chance to breed our Marcus daughter (Jane) to a Marcus great-grandson (Disco) we were very excited. She already has her junior leg and is a sharp very dairy doe. She freshened in 2014 with a gorgeous udder. Her udder in 2015 looked even better and she easily finished her permanent CH as well as appraised 90 ! 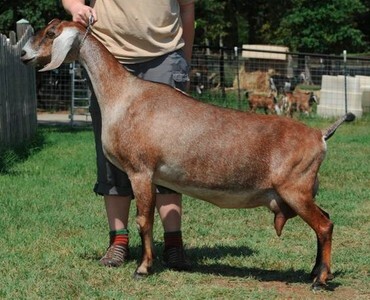 We have retained a doe and buckling from our 2015 kidding (out of Lightning)...Fiona and Legacy. We tried to AI her, without success, so we have repeated the breeding to our Dandy Supreme son(Honor) which produced lovely kids (including Juliet who we retained) which produced 3 bucklings !